The world has changed. People have died from the very same virus the made apes intelligent. Now the apes and the humans have to learn to inhabit the same planet. 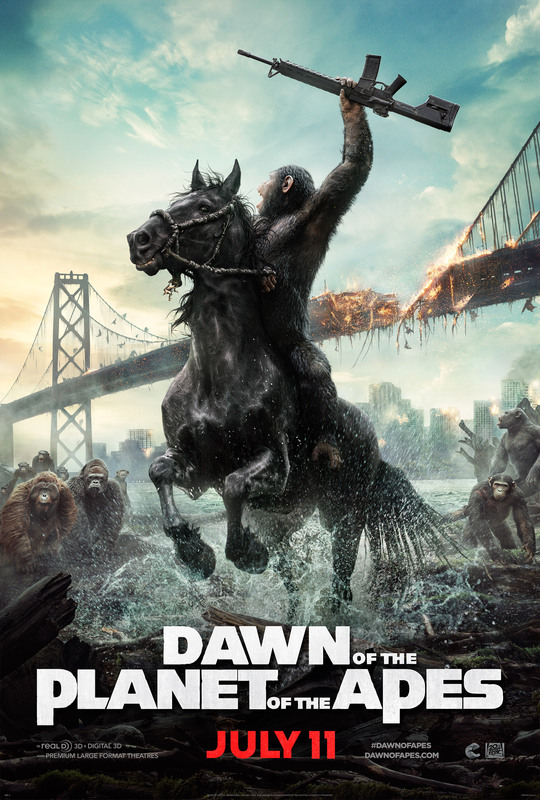 It's 2014 and we get a sequel to the 2011 reboot Rise of the Planet of the Apes. One great take on this is that none of the human characters carries over from the first instalment, but a few of the apes does reoccur, but now as main parts. I consider quit daring to let animated characters take up the main parts, but then again the execution is sublime! There was only a few scenes where the effects made me think about the fact that they weren't real. It's ok, but since it is a long movie, you just start to notice the fact, when it seems like the movie repeats it self a little. Like the ending of Lord of The Rings III. All that being said... I think all main human actors does a very good job. The way they pull of the ape race and the humidification of them works super too. And the effects are top notch. And it also ties really nicely to the first movie. I'm definitely going to watch the third instalment.